Little is known about the incidence, risk factors, clinical characteristics, and outcomes of patients with polymicrobial SA (PMSA). We aimed to determine the unique characteristics of patients with PMSA by comparing them to patients with monomicrobial SA (MMSA). We conducted a retrospective cohort study of patients 18 years and older admitted to a single tertiary care medical center, between 1998 and 2015, with surgically treated culture–positive SA affecting one or more joints. Patients were separated into two groups by the presence of one (MMSA) or more organisms (PMSA). A total of 441 patients with MMSA and 47 with PMSA were identified. Prior history of SA was more common among the PMSA group (31.9% vs. 18.6%; p = 0.03) as well as higher rates of prosthetic joint involvement (48.9% vs. 36.1%; p = 0.06). Patients with PMSA were sicker with higher rates of shock at presentation (14.9% vs. 5.5%; p = 0.02), intensive care unit admissions (39.1% vs. 18%; p < 0.001), and longer mean length of stay (16.1 vs. 10.9 days; p < 0.001). The most prevalent pathogens in the PMSA group were coagulase-negative Staphylococcus (31%), followed by methicillin-sensitive Staphylococcus aureus (29%), and Enterococcus (24%). 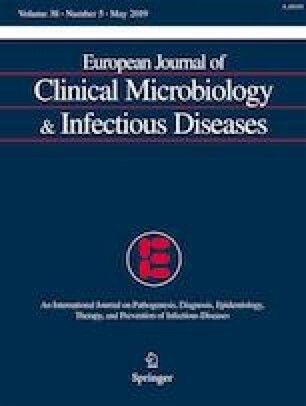 To our knowledge, this is the first study to determine the clinical and microbiologic profiles of patients with PMSA. Important differences were noted such as more frequent involvement of atypical and prosthetic joints in PMSA. PMSA should be suspected in patients with these clinical features, and broad-spectrum antibiotics should be considered as these patients appear to be sicker and have worse outcomes. Orit Futterman and Sarah B. Lieber contributed equally to this work. The online version of this article ( https://doi.org/10.1007/s10096-019-03557-4) contains supplementary material, which is available to authorized users. The study was approved by the BIDMC IRB committee, study protocol: 2013P000367. This is a retrospective data based study, which did not require an informed consent.